When it comes to getting the best deal on obtaining a domain name one should take a look at NameIT.net. For as little as $6.99 a year you can get your own .us or .net domain name, and for just a $1 more a year your own .com, .org, .info, or .biz domain. With competitors pricing their .com domains for as much as $25.00 you will quickly see the nameit.net pricing structure is very reasonable. Unlike many of these other domain name providers, N@me IT does not require their customers to commit to any long term contracts, you pay for as many years as you wish to register the domain name and are not locked in to any further contract. In the event you do not think the NameIt domains are cheap enough and you can find it cheaper elsewhere they will be happy to “beat any first year registration offer.”. Why would name it beat their price? Because they know that most domain name providers will offer an introductory offer for the first year but may have you commit to a 2 or 3 year agreement where you must renew your domain name registration and at that time they are going to charge you plenty enough to cover their losses from the first year. With NameIt you will pay the same low cost for domain registrations, renewals, or transfers. 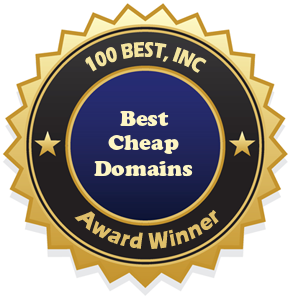 When it comes to the NameIT domain name pricing there is little to compare, but when we did we found that there are several different domain name registrars that not only charge fees for the domain but also charge other fees as well. Some registrars charge an ICANN Fee to help them recover their costs in registering your domain with the International Corporation for Assigned Names and Number, also known as ICANN. Many providers charge fees of about $10.00 to make your domain registration private, they typically do not have additional charges for offering you private registration. The domain providers will just charge their customers this fee because they feel they are offering them a service. You don’t need to worry about NameIT trying to sell you any type of web hosting package, they allow you to point your domain to the web hosting provider of your choice. All domain names must be registered through ICANN and only accredited ICANN domain name registrars are allowed to submit domain names for approval. In order to be approved by ICANN there are a number of requirements that must be met, you must go through a process, and there are a number of standards a company applying to become a registar must comply with. When purchasing a domain through an accredited domain registrar you can rest assured your domain name will be properly submitted and maintained. Not every company that registers a domain name is a domain name registrar. In fact, very few web hosting companies that offer a registered domain name as part of their web hosting package are actually a registrar. However, they will typically have a partnership with one particular domain name registrar in which they will register all the domain names for their customers who are purchasing their web hosting plans. Although NameIT does not have a 24/7 toll-free telephone number or live chat program they do have a 24/7 ticket support system. But then there is no reason you should need a toll-free number or chat option to purchase a domain name? NameIt has made the process of searching for and registering a domain you should not need any telephone assistance. Name IT is in the business of providing cheap domains, they do one thing and one thing only, give their customers the best deals on domains. One of the ways they can remain as cheap as they are is by excluding unneeded services like a 24 hour hotline. Visit nameit.net today to register your domain name!